Last week I attended the IAF Asia 2016 conference and it was, as usual, mind blowing! The feel of the Asian conferences is a little indescribable. I would have to say that there is so much energy and enthusiasm because people are in someways just discovering this amazing profession and all it has to offer. In addition, we had a number of visual practitioners who graphically recorded all of our sessions. The foresight of some of my colleagues, mainly Gerauld Wong, in bringing the visual practitioners to join the IAF is astonishing to me. It really makes sense that we do work together. 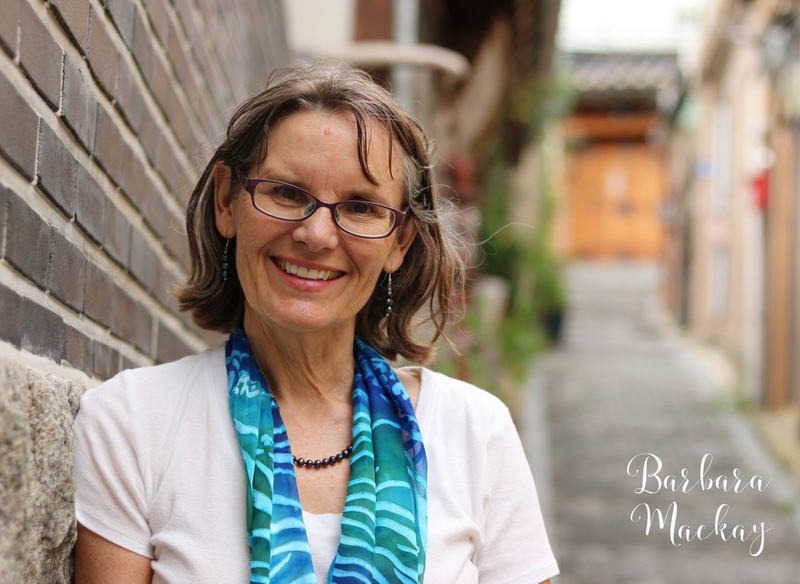 You can see from the banner of our blog today, the amazing work of the Singaporean woman who recorded our concurrent session. Her name is Kailin Huang, founder of Picture a People Plan. Thank you, Kailin! I was able to attend three phenomenal sessions when I was not presenting. I describe them a little bit here, but will elaborate on them more in future blogs. What I will elaborate on in this blog is my own concurrent session focusing on the title of this blog. You also can download one of the key handouts of my concurrent session if you keep reading this. Enjoy! My first session was about a customized tool that goes well with the last phase of the Appreciate Inquiry (AI) approach that helps get more tangible results. I have written on this AI approach in a previous blog. 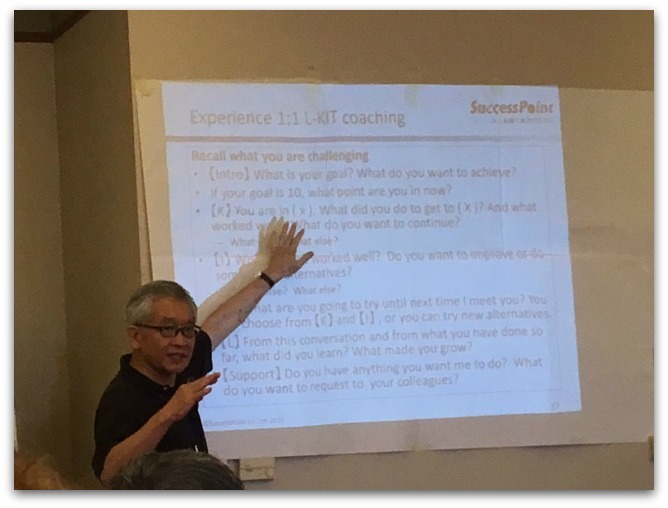 Max Watanabe of Japan, an expert in Appreciate Inquiry, was able to share with us what he calls L-KIT. The L stands for Learn. The K stands for Keep. The I stands for Improve. The T stands for Try. He gave us some excellent questions that we can use following this four step process when working with groups or a team that meets over a period of time to keep improving on a process or program they have already developed. So each time they meet they talk about what they have learned since the last meeting from trying out new ways of doing things. They decide what they want to keep. They make choices about what they want to improve. And finally they brainstorm new things to try. And the next time they come back together, they go through that same process so it is a continuous improvement loop. Eventually the prototype program or project becomes something that is long-lasting, sustainable and a best practice for anyone who uses it. The second workshop I attended gave me a coaching tool that is used in the Theory U approach. Noel Tan, President of IAF, took us beautifully through two practices of this tool. 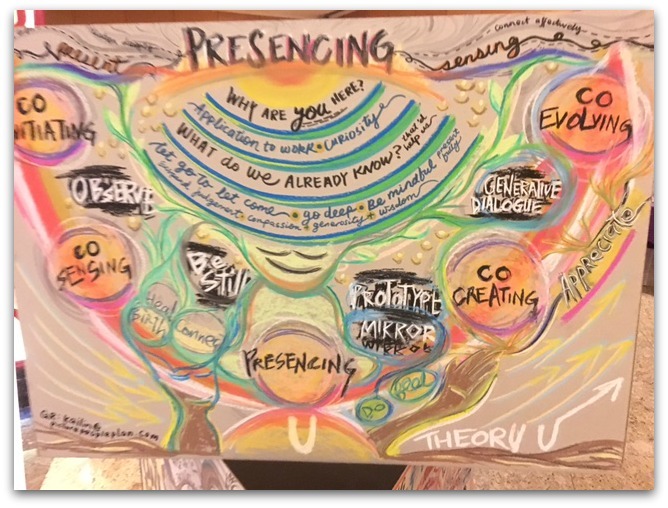 Theory U is something that I have been exploring over the last few years and has a beautiful pathway for groups to follow. The coaching tool is one of many that are free on the Presencing.com website. It is profoundly respectful and insightful. Basically, you get a team of people to listen to your current dilemma. Then they get to ask you a number of questions. Then you sit in silence and this is known as the presencing part of the Theory U pathway, and whatever images or metaphors come to you as you ponder this person’s dilemma is what you share after the silent moments. Those images, feelings, or metaphors can be a surprise and helpful to the person facing the dilemma. Finally, the person being coached summarizes what they’re taking away from the team of peer coaches. The final workshop I was able to attend was a simulation game named crossroads. This game was developed in Japan by Professor Toshiko Kikkawa and co-facilitated with Natsu Iwaki. We actually got to participate in the game. It consisted of being given a scenario related to something that would happen in a disaster situation. The game was developed after the 1995 disaster in Kobe, Japan as a way to help residents prepare for and deal receptively with the aftermath of a disaster. It was enormously helpful to the people of Japan in thinking through and dealing with the more recent 2011 tsunami and earthquake disaster. 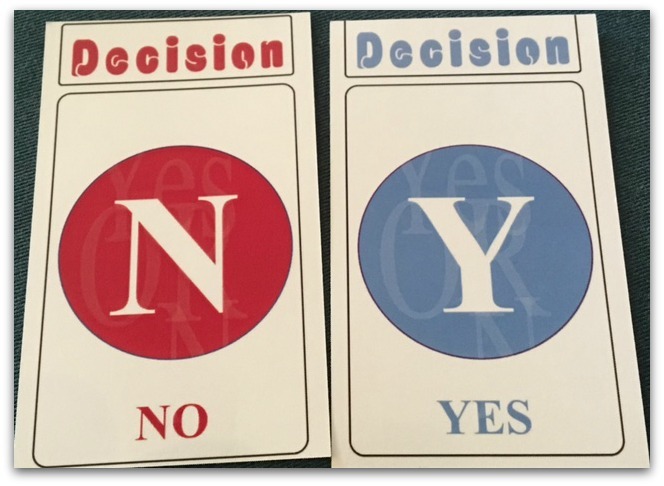 Once you read the scenario, each person decides on their own whether they would respond with a yes or no to solve the problem. Then each person gets a chance to explain briefly why they came up with their answer. It was a surprise to me to listen to other people who had a similar perspective to me. The way they explained the reasoning was powerful and nuanced from what I have been thinking. So by the time we had listened to four or five perspectives other than our own, we really had a better understanding of why a decision needed to be made in a certain way. I can think of several clients who could benefit from this simulation in my part of the world which also is very susceptible to earthquake and other disasters. My concurrent session, “When Things Get Really Complex – Formulas and Stories for Deciding Whether to Take the Job and Getting Through It If You Do”. 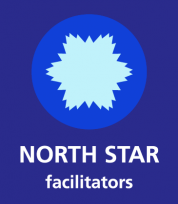 This session talked about whether to take a facilitation job or not when it is fairly complex – and what to do if you do take it. Most of you did not get to attend so I wanted to share it with you. Click here or on the banner below, enter your email, and I’ll provide you with the 5-part formula worksheet I gave out at this session. Now to test this equation out, we looked at seven case studies. Below is one of the case studies of a job I did a long time ago with some of the details changed to protect confidentiality. Here is your task. Read through it and check which of my equation components are being met. I’ll tell you later why I thought it would be a good job for me. And then I’ll tell you what happened. Your second task is to think about whether this would have been a good job for you. What does that say about what you’d put in the equation or formula for success for yourself. This was a BIG job – It first involved a strategic planning retreat with a small group of the upper management. Then I was to assist the sales managers create separate strategic plans for each of about 12 retail outlet stores that aligned with the head office plan. All the senior leaders were men. The company president wanted to retire soon. I liked the causal, fun, outgoing tone of the leadership team. They had not planned to invite the technical information officer (IT guy) since he was not part of the leadership team. But, they accepted my suggestion to invite him as technology was likely a key piece of their plan. No one in the company had ever done strategic planning before. I took some time to educate them about what a facilitator could do and what budget was required. They accepted my fees and expenses. The person who interviewed me was new and keen to make a difference. He called me in May and we began the strategic planning first session in August. The sales manager planning began the following February. Do you think I should take this job based on my recipe for success? What should I do to meet more of my criteria for success? This job met all of my criteria very well. Leisurly Timeframe: There was plenty of time to prepare and really make sure I knew what they needed. Cool Client: I liked how open the team was to learning about strategic planning. Complexity “Nervosity”: I am really comfortable with strategic planning but the multiple layers with upper management and then senior management was new to me at the time. So this job was going to stretch me. Supports Me Well: They were willing to pay my proposed fees. They later even asked me to do more and accepted my revised estimate without question. They responded to my questions promptly. When we worked with a larger group of sales managers, they had no problem with me bringing a co-facilitator. They found good space for the event based on what I told them I needed. I always felt well accepted by all the client leaders and staff members. Although they worked in a male dominated industry, they were respectful and treated me like one of them. Collaborative Effort: The fact that they were very receptive to learning and trying new things suggested they were keen to keep growing as a collaborative culture. They wanted the sales managers input into their plan and then to have them become more strategic. It was not a perfect model of collaboration but it showed their willingness to grow in this direction. Ideally they would have just done one plan involving the sales managers earlier but they were not quite ready for that. Would you take this job? If you take this job, what would you do to downsize some of the risks and make it more rewarding for you? When I wrote this blog, I had not yet delivered the session. But the 36 participants really opened my eyes to some other potential components of success when thinking about whether to take a job or not. New key ones that really appeal to me were whether the job used my full range of experience and skills, and whether it provided them and me with value. A final component which I think is worth considering is the autonomy. When you are the facilitator, internal or external, it really helps for you to feel that your judgement combined with their input around designing a good process will be respected by the client. 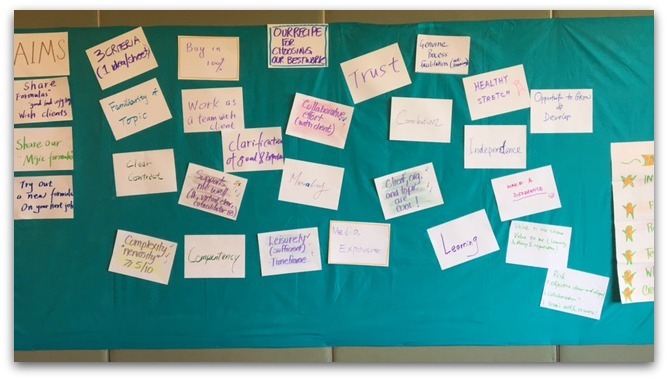 Here is a photo of the sticky wall that shows all the additional components of success that the participants came up with in addition to the ones that I initially gave them as important to me. I would love to hear from you. What would you add to the equation? 1. How fun does it sound? 2. Is there a whiff of obligation or loyalty? 3. What’s the novelty factor? 4. How clear is the client on the goal(s) of the engagement? Are they well-organized in making it happen? 8. Co-facilitation opportunity or not? BOTTOM LINE: Is it in my heart to do this job at this time or not? WAIT at least 24 hours between the offer of any job and the acceptance of it, in order to do discernment.